UNIVERSAL CITY, Calif. – Feb. 22, 2018 – Tony Award-winning producer, “Hamilton” alum and “Power” co-star Brandon Victor Dixon will star as Judas and join an already stellar cast in NBC’s highly anticipated special event “Jesus Christ Superstar Live in Concert,” to be aired Easter Sunday, April 1 from the Marcy Armory in Williamsburg, Brooklyn, N.Y.
Also joining the cast are Tony nominee Ben Daniels as Pontius Pilate, Tony nominee Norm Lewis as Caiaphas, Broadway veteran Jason Tam as Peter, “M. Butterfly” star Jin Ha as Annas and Swedish rock star Erik Gronwall as Simon Zealotes. Rounding out the full, award-winning creative team is Emmy Award-winning live television director and executive producer Alex Rudzinski (“Hairspray Live!,” “Dancing With the Stars”), Emmy- and Tony Award-winning costumer designer Paul Tazewell (“The Wiz Live!,” “Hamilton”), Grammy Award-winning music producer Harvey Mason Jr. (“The Wiz Live!”), musical director Nigel Wright (“Jesus Christ Superstar” world arena tour), production designer Jason Ardizzone-West (“Adele Live in NYC”) and choreographer Camille A. Brown (“Once on This Island”). 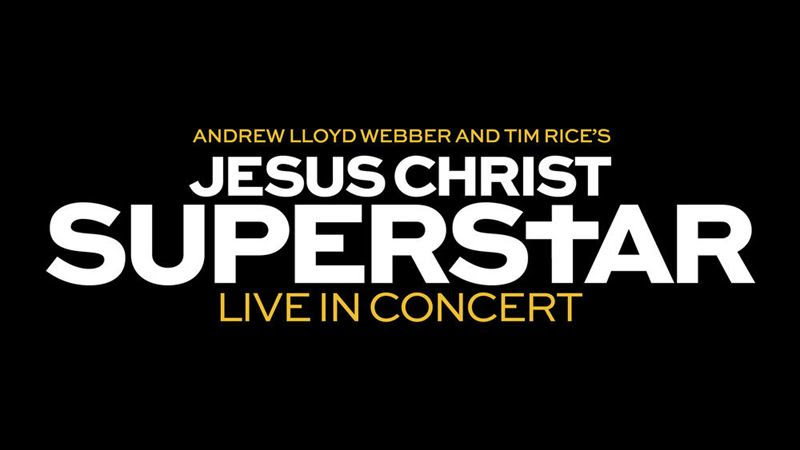 As previously announced, “Jesus Christ Superstar Live in Concert,” a staged version of the original rock musical, will be executive produced by Andrew Lloyd Webber, Tim Rice, Marc Platt, Craig Zadan, Neil Meron, John Legend, Mike Jackson, Ty Stiklorius and Alex Rudzinski. Oscar, Golden Globe, Tony and 10-time Grammy winner John Legend has been cast as Jesus Christ, with Broadway star and acclaimed recording artist Sara Bareilles as Mary Magdalene. In addition, rock icon Alice Cooper will take on the role of King Herod. The production will be helmed by esteemed British theatre director David Leveaux. Dixon will play Judas, an apostle of Jesus who has concerns for the poor and the consequences of Jesus's popularity. Dixon won a Tony in 2014 as a producer of “Hedwig and the Angry Inch,” which won for Best Revival of a Musical. In 2006 Dixon was nominated for Best Featured Actor in a Musical for his role as Harpo in “The Color Purple," and again in 2016 for his role as Eubie Blake in "Shuffle Along." In addition to his Tony nominations, Dixon is known to many Broadway theatergoers as Aaron Burr from the musical sensation “Hamilton.” Dixon played Burr for nearly a year at the Richard Rodgers Theatre. In addition, he co-starred in a 2010 Off Broadway production of the musical “The Scottsboro Boys,” directed by Susan Stroman. On the TV side, Dixon currently co-stars on the Starz series “Power” as Terry Silver. He previously appeared on “The Good Wife” and performed on “The 40th Annual Kennedy Center Honors” in December. Jin Ha will play Annas, a priest who aligned with Caiaphas and also saw Jesus as a threat. Ha made his Broadway debut as Song Liling in the 2017 revival of “M. Butterfly” at the Cort Theatre. Erik Gronwall will play apostle Simon Zealotes, who believes Jesus should lead his followers into battle against the Romans. Gronwall came to fame in 2009 by winning the Swedish version of “American Idol.” Using “Idol” to jumpstart his music career, Gronwall released his first single, “Higher,” a few weeks after winning the competition and the song immediately shot to #1 on the charts. “Higher,” along with his self-titled album, soon reached platinum. He currently is the lead singer of the band H.E.A.T., who tour worldwide. The “Jesus Christ Superstar” album hit #1 on the Billboard charts and made its way to the stage in 1971. It is based on the final week of Jesus’ life. The 1971 musical opened at the Mark Hellinger Theatre on Broadway and starred Jeff Fenholt as Jesus and Ben Vereen as Judas. It was nominated for five Tonys, including Best Performance by a Featured Actor in a Musical for Vereen. Lloyd Webber won a Drama Desk Award for Most Promising Composer. “Jesus Christ Superstar Live in Concert” will be produced by Universal Television, The Really Useful Group, Marc Platt Productions and Zadan/Meron Productions.